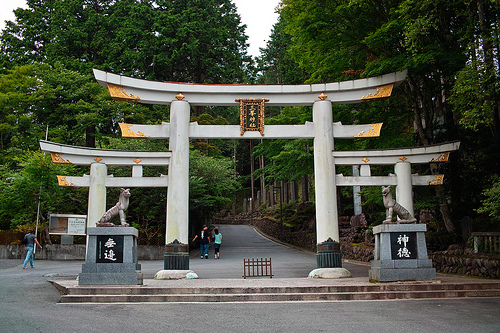 Shinto shrine gates, torii, are found anywhere in Japan. They are usually unpainted or painted vermilion because in ancient times it was believed that the color represented the throbbing pulse of life and prevented disasters. 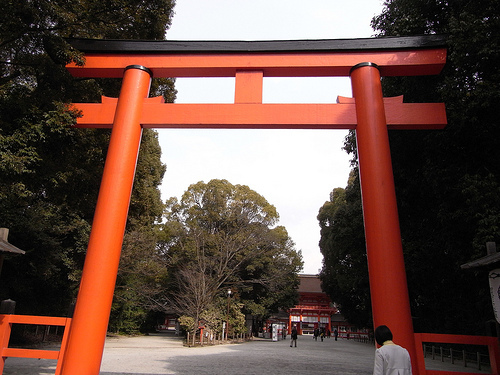 This is a typical torii. 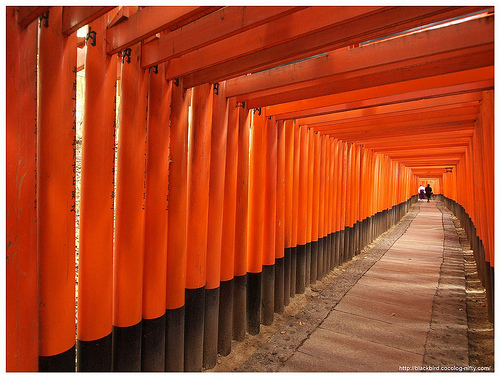 The followings are the variations of torii in Japan. This one is really huge (24.2 meters), standing over a road. 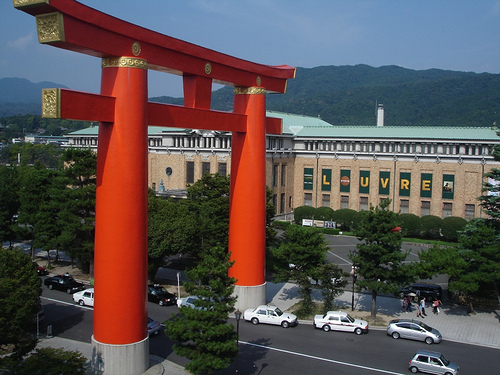 A triple torii is called miwa-torii in Japanese. The origin of this type of gate is not known. 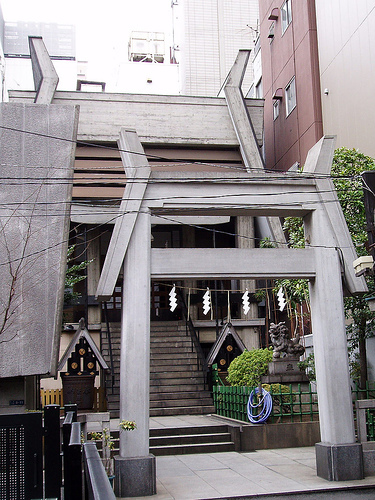 This is a modern style, minimalist torii. This one stands at the corner entrance of Haneda airport. 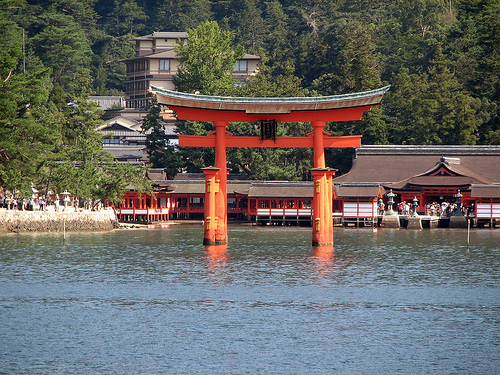 The famous torii in the sea. 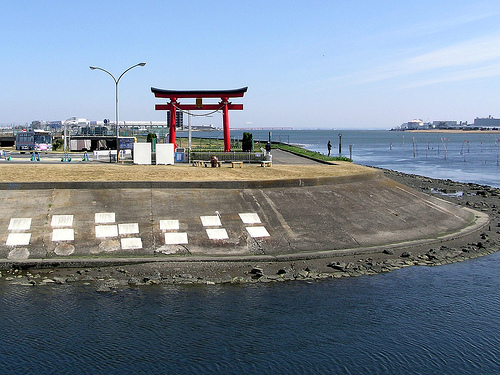 Because the island itself is a god, they had no choice but to build the shrine and the gate in the sea. Torii corridor. 10,000 of torii lined up. You can see another torii corridor that Japan Style introduced before HERE. When you visit a shrine, you might pass a gate without paying special attentions, but a torii is an entrance to a god’s house. It is much nicer if you bow in front of it before you go through it, and that is a shrine manner but not a few Japanese people practice so.